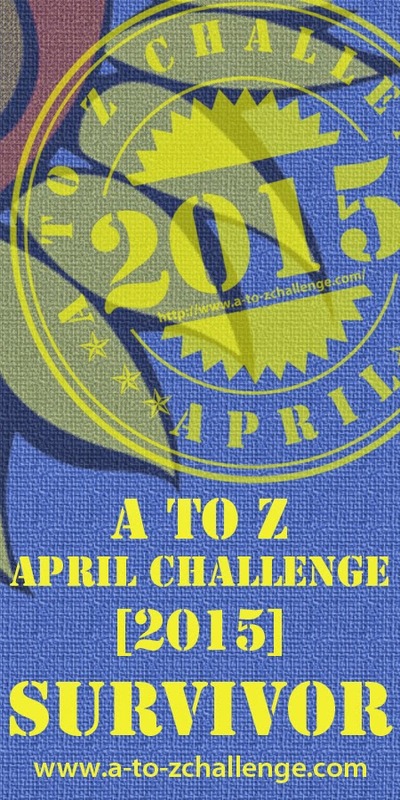 Just letting you know that I am not giving up on the A-to-Z Challenge! I’m just a bit behind on posting. I’ve had a really busy week, including traveling on Thursday and Friday. I’m currently in Chicago for C2E2! As such, I will likely be putting up the next A-to-Z posts (T, U, and V) on Sunday/Monday. Only a few more posts until the finish line! I’ve hit a little snag, but will hopefully get everything up in time for the end of the challenge. Thanks for understanding; I’ve really enjoyed reading other participants’ blogs and seeing everyone’s comments on the posts here!